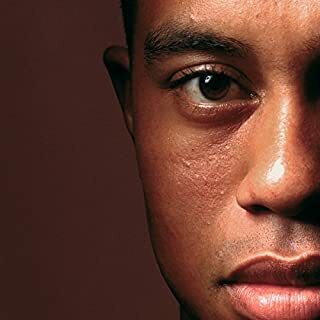 One of the greatest sports figures of all time salutes his heroes and takes us inside the game as few others can. For the first time, Gretzky discusses candidly what the game looks like to him and introduces us to the people who inspired and motivated him: mentors, teammates, rivals, the famous and the lesser known. 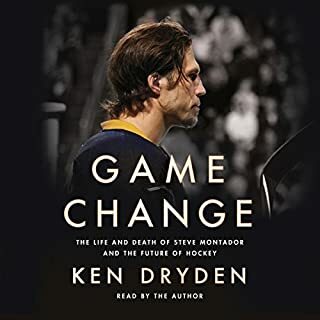 Weaving together lives and moments from an extraordinary career, he reflects on the players who inflamed his imagination when he was a kid and the way he himself figured in the dreams of so many who came after; takes us onto the ice and into the dressing rooms to meet the friends who stood by him and the rivals who spurred him to greater heights; and shows us some of the famous moments in hockey history through the eyes of someone who regularly made that history. My only criticism is with the narrator. Please take the time to learn the correct pronunciation of the players names. Very frustrating to a real fan to hear superstars names mis-pronounced. Loved this! Great stories, well read and super interesting! Thank you very much! Would certainly recommend. Wayne has helped diarize much historical content in this book - but I was hoping for more stories from behind the scenes, associated with the players of Wayne's era (the players of my youth). 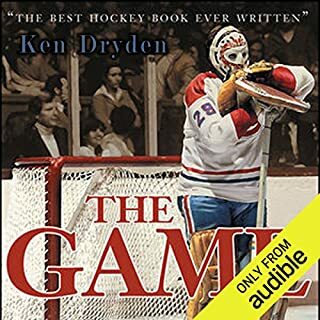 The stories are amazing, if your a hockey fan young or old you’ll love them. 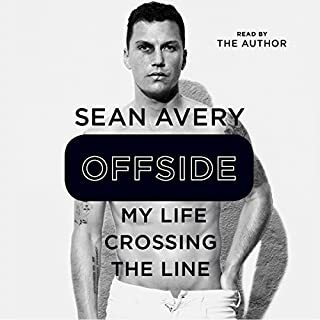 This audiobook is seriously let down by the performance of the reader unfortunately. I really struggled through it, the only reason i made it was because the content was so good! There were some glaring mispronunciation and just the style of the reader felt so robotic. 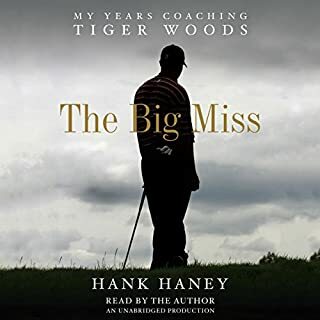 So much so that I needed to keep re-listening to sections because I felt like the reader ignored any and all punctuation as he read. Serious let down overall unfortunately, and would therefore recommend just buying the book and reading it yourself! This was a good meandering yarn about some of the tidbits you only sometimes hear about. Wayne Gretzky's story, the good and unique people he wrote about are all mentioned in a classy way, just like the Great One himself. The only drawback was the narrator's incorrect pronunciation of French or foreign born players. This is an audible editorial miss. Gretzky has a great knowledge of the game and hockey history and shares many great stories of past and present. However, the book lacks much of Gretzky's own experiences and stories as many of the stories he tells are about other people. The reader is not Gretzky which was disappointing and his performance lacks energy and becomes a little monotone. 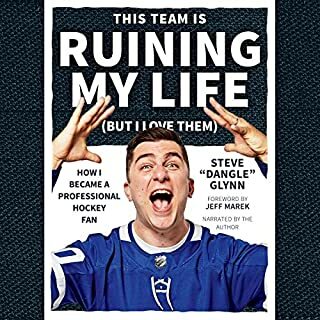 Overall, if you're a hockey fan you'll enjoy the book. The history lesson was good and it's obvious that Wayne is a professor in hockey history but I just wish there were more Wayne stories. 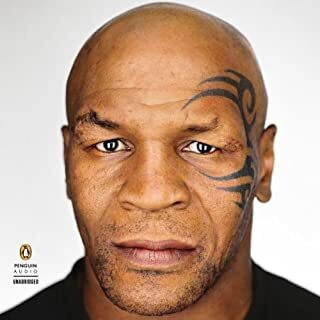 Maybe his next book. I was excited to learn more about Wayne Gretzky - he played from 1979-1999. This majority of stories talked about in this book are from the 40's and 50's. They're kind of boring because I don't relate to them - I don't know who he's talking about. I want to know the ins and outs of his game - what Wayne did, who were Wayne's opponents, etc. Good narrator. I grew up playing and thought I knew a lot of the game. 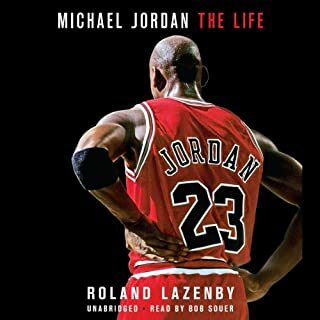 This book was some really cool insight and some even better stories of past!! 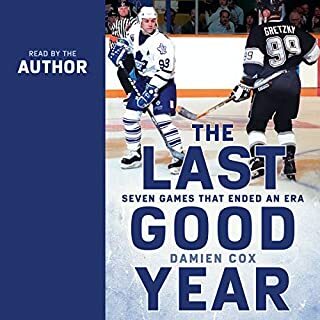 this book is more about hockey than gretzky , it takes you on path from the start of hockey and its teams, to the players before gretzky and after him. it is both interesting and educational for all hockey fans. 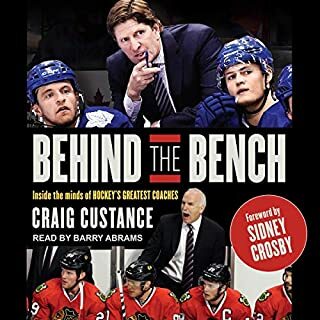 it's really not a total wayne gretzky book rather a hockey book with stories sprinkled in about him. This book is amazing ! I love hockey and I play it even though I'm a girl because girls can play hockey too and I hope you agree with me. Your book is incredible thank you. 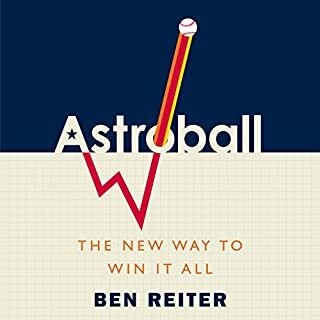 This is a really good book. 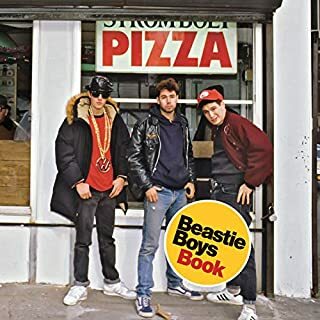 Whether you are a casual hockey fan or a serious hockey fan or maybe even a brand new fan there is a little bit of everything in the book for everyone. What made the experience of listening to 99: Stories of the Game the most enjoyable? 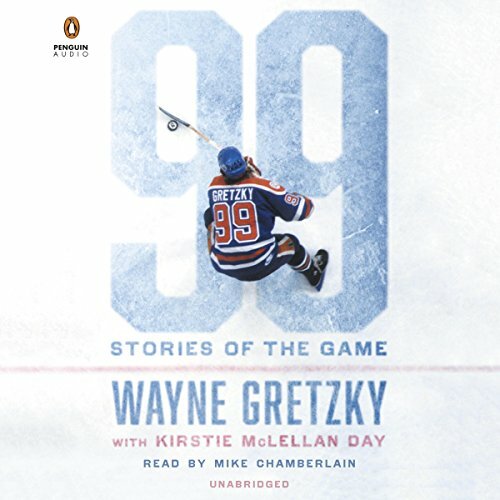 Wayne Gretzky's personal stories of conversations on the ice, friendships and rivalries, and the process of being an NHL great, were the best part of the book. He isn't Wayne Gretzky. The book is written in first person so when he says "I did this" or "I was friends with him" it doesn't work. 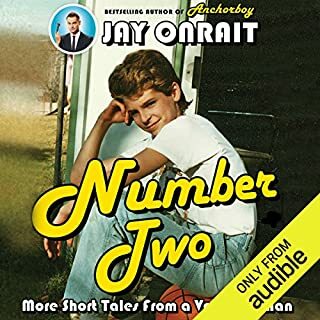 He is a narrator, he is not Wayne Gretzky, so it either needed to be read by Wayne Gretzky or it needed to be written in the third person. 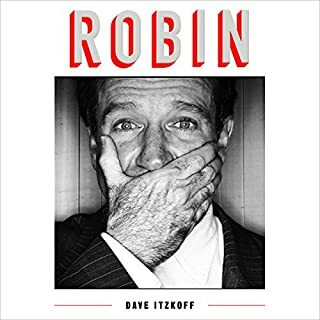 I heard Wayne in an interview promoting the book, and he has such a distinctive and familiar voice, that hearing anyone else pretend to be him just doesn't work. 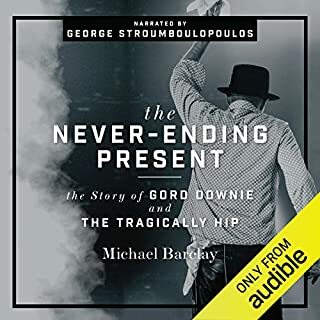 It is obvious which parts of this book were contributed by Mr. Gretzky and which were the research done by the co-author. Some bits of it are incredibly dry. 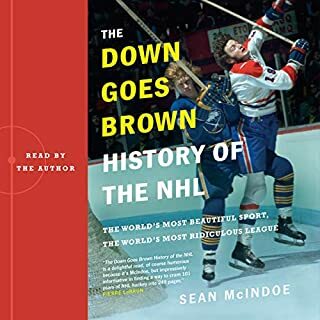 The history of the creation of the NHL is in depth, and some of the stories of the original players were obviously historical anecdotes. There may be 99 stories but 45 of them are not Wayne's reflections or have anything to do with him at all and were written like a history lesson. I loved every about this book - at first I was weary to purchase this considering it’s a bit over 12 hours I believe. Now I couldn’t be happier I purchased it; I’m already going to start is from the beginning even though I just finished it. 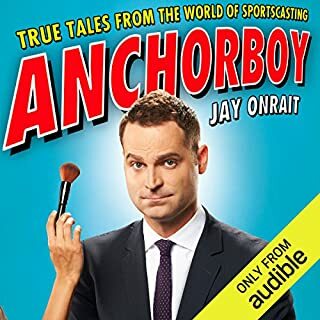 I promise this is a SPECTACULAR book - so buy it regardless of how much you love hockey or even for anyone clueless about the sport will love it. Great stories, even better life lessons.